The Biggest football club in Kenya Gor Mahia is on the verge of bankruptcy, during their recent trip to Madagascar, the team officials had to beg Peter Kenneth to pay for their ticket back home after it emerged that they didn't have any money for their return ticket. The team was traveling to Antananarivo on Saturday ahead of the second leg of the Africa Champions League’s preliminary phase tie against hosts Caisse Nationale de Prevoyance Sociale Sport (CNaPS) but it emerged that they were unable to pay for the tickets. 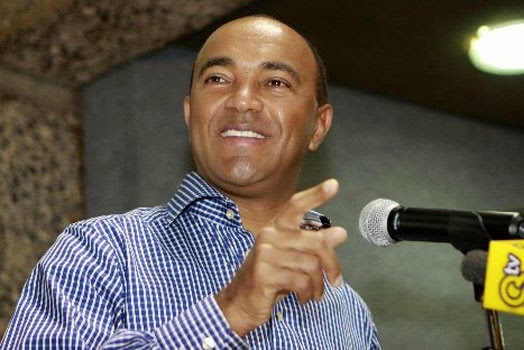 According to Nairobinews, the team officials knew that Peter Kenneth was on board the flight they were traveling on and they went to beg him for money where he gave them 2 million shillings. “He (Kenneth) bailed us with Sh2 million to pay for the tickets because we couldn’t raise money to get tickets for the match in Madagascar,” said the source.